The Monthly Group Coaching Calls are intended to provide you with practical easy to apply cutting edge science based information, tools, techniques and exercises that will allow you to succeed. Coach Tim Adams will provide new information as well as answer any question you might have. 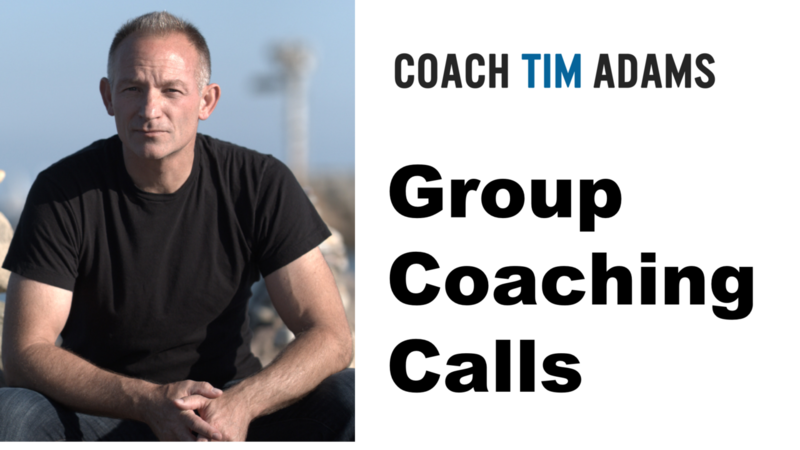 Sign up now and start receiving Tim's valuable coaching the first Monday of Every Month at 8pm EST/5pmPST. You get access to Tim once a month for an hour! If you miss a call or can't make a call don't worry because you will also get access to the online Library of every call so you can listen to them at your convenience. As a bonus Tim will be doing additional calls on Mondays as well...Stay tuned! The Monthly Group Coaching Calls are intended to provide you with practical easy to apply cutting edge science based information, tools, techniques and exercises that will allow you to succeed. Tim will provide new information as well as answer any question you might have.